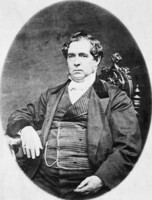 MORTON, JAMES, brewer, manufacturer, contractor, and politician; b. 29 Aug. 1808, probably at Killylea, County Armagh (Northern Ireland); he was married and seven children survived him; d. 7 July 1864 at Kingston, Canada West. James Morton came to Kingston in 1824, possibly as an apprentice or articled clerk to Thomas Molson who established a brewery and distillery there in that year. In 1831 Morton became a partner with Robert Drummond in a new brewery; when Drummond died in 1834, Morton bought his interest from his executors and continued to operate the business as the Kingston Brewery and Distillery. Morton had been thoroughly trained as a shrewd businessman by Molson. His products, especially Morton’s Proof whisky, enjoyed a reputation for quality, he was personally popular in Kingston, and his business prospered. After 1845 he began to invest in real estate and became a large owner of rental property in and around Kingston and as far west as Hamilton. He erected a large sawmill on land purchased at Trenton and produced more than 700,000 board feet of lumber per year, most of it for export to the United States. He also established a lumber yard and dock at Kingston. 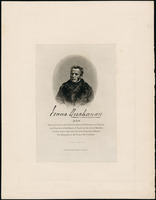 Apparently to free his brewery and lumber interests from dependence on local shipping lines, he became involved in lake shipping and by 1855 owned and operated seven or eight cargo ships. An interest in railway contracting began in 1853 or 1854 when he became a silent partner in the small Kingston construction firm of Valentine and Hall which, in competition with Samuel Zimmerman*, was trying to obtain the contract to build a railway from Woodstock to Port Dover and Port Burwell on Lake Erie. Through Valentine and Hall, Morton met an engineer named Hand and with him built the Kingston section of the Grand Trunk Railway, completed in October 1856. In about 1854 Hand and Morton had purchased the works of Tutton and Duncan of Kingston which manufactured steamboat engines. They enlarged the factory, renamed it the Kingston Locomotive Works, and began to build railway engines. Hand soon left the partnership and Morton carried on alone. By 1858 Morton had reached the peak of his prosperity. He purchased a house, St Helen’s, from Thomas Kirkpatrick and transformed it into Mortonwood, one of the most splendid homes in Kingston. But by 1860 Morton was bankrupt. His troubles were caused by a new railway venture and the collapse of the Upper Canadian financial system in the depression of 1857. Isaac Buchanan* of Hamilton had gained control of charters to build a railway from Hamilton to Windsor, to be called the Great South Western Railway, but he had suffered heavy losses in his dealings. Morton apparently agreed in the late 1850s, against the advice of his friend and former solicitor John A. Macdonald*, to buy Buchanan’s charters and thereby also receive the construction contracts involved. After numerous disputes and delays over terms of the transaction, Buchanan in 1859 sued Morton and was awarded damages of £50,000. Morton was unable to pay and the action ruined his already shaky credit. The economy of the province operated on a long-term credit system of bank drafts and promissory notes which were not backed by collateral in negotiable securities. The depression which began in 1857 at the end of the Crimean War, and the curtailment of foreign investment in Canadian railways, caused the collapse of this credit system. The drafts of Morton’s debtors, which he had deposited with the Bank of Upper Canada to cover his own overdrafts, became worthless. A successful suit against his debtors by Morton would only ruin the buyers of his beer, whisky, lumber, and locomotives, and he would also find himself the owner of his debtors’ only assets – heavily mortgaged real estate for which there was no market. Moreover, he had endorsed loans for numerous bankrupted friends which he was now obliged to repay. In 1859 his debt to the Bank of Upper Canada alone was $250,000. Because of his troubles the bank limited Morton’s line of credit and made it impossible for him to pay his creditors, many of whom successfully sued him. But the bank was reluctant to proceed against debtors in hard times. In order to obtain some security from Morton, the bank’s new cashier, Robert Cassels*, obliged him to mortgage all his property but to continue operating his business. He was also forced in 1861 to lease his distillery, the only enterprise which was producing cash, for $20,000 a year to three trustees of the bank. From this amount Morton was paid $3,000 a year and the balance was applied to his bank debt. Morton’s other creditors sold at auction several locomotives and the furniture in Mortonwood. The bank bought his furniture, however, and thus made it possible for him to continue living in his magnificent house. Morton continued to be popular in Kingston. Through the influence of Macdonald he was elected to the assembly for Frontenac in 1861, defeating Sir Henry Smith. His health was beginning to fail, however, and he rarely took his place in the house. He did not stand for re-election in 1864 and died later that year. 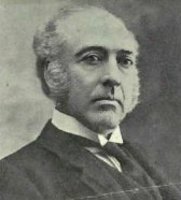 James Morton is representative of the early Canadian industrial entrepreneurs who became prominent after 1845 and had failed by 1867. They attempted to operate in a credit and financial system suited to an agricultural and commercial economy in which the leading businessmen were merchants who exported staple products such as lumber and wheat and imported manufactured goods. Large financial institutions which, by accumulating capital would make possible the operations of an industrial entrepreneur like Morton, had not yet been developed. PAC, MG 24, D16; MG 26, A, p.94994. QUA, Kirkpatrick-Nickle legal records. Daily British American (Kingston, [Ont. ]), 8, 11 July 1864. J. of Education for U.C., XVII (1864), 105–6. Merrill Denison, The barley and the stream; the Molson story; a footnote to Canadian history (Toronto, 1955). 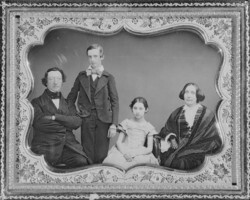 Anne MacDermaid, “The visit of the Prince of Wales to Kingston in 1860” ; and M. L. Magill, “James Morton of Kingston – brewer,” Historic Kingston (Kingston, Ont. ), 21 (March 1973), 50–61 and 28–36. M. L. Magill, “MORTON, JAMES,” in Dictionary of Canadian Biography, vol. 9, University of Toronto/Université Laval, 2003–, accessed April 25, 2019, http://www.biographi.ca/en/bio/morton_james_9E.html.